Is The Church Engaging Young People? During a recent conference, I led a solution group to discuss the challenges of youth engagement and the increasing divide between young people and the church. It was a massive experience for some of the adults in attendance as later feedback confirmed. We wanted to understand why many young people (especially with church background) would not stay in church, don’t seem to love Jesus, won’t serve God or even be an integral part of the larger society in a positive way. You can imagine the atmosphere! 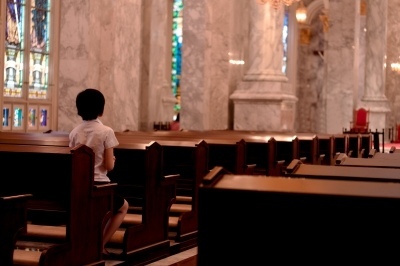 7 in 10 young people do not feel engaged in church. 22% say the church ignores real-world problems, hence making them out of touch with their personal struggles. It is undoubtedly true that young people seek identity and that is not being patronising. I have lived the experience myself. But these are staggering statistics. Not the number per se, but the implications this has on actual people, real ministries and the future of the church. The thought of that suddenly makes you realise this is more than a numbers thing! The future of the church is at stake. We are at stake! Obviously, church ministries are diverse and adopt different approaches. But there is universality of challenge across, no matter your church or even personal background. Is the church as a whole doing enough to engage young people? What, in your opinion, can or should the church do (or be doing) to win young people? Have you been or are you part of a ministry that successfully engages its youths? How did (do) you do it? What are your success ingredients? I want to read from you. Your views are so crucial to me personally and to many others in the work I do. Leave a comment.